Over the years of exporting Mexican Artesania, I have continually been drawn back to the tin artisans who reside not only in San Miguel de Allende, but in Oaxaca, Guanajuato, Celaya, Mexico City. The malleable quality of tin (hojolata) copper (cobre) and brass (laton) they work in allows the artist to create beautiful repousse, punched and multi layered work. It is nothing short of miraculous to see a solid surface become bowl like, the shape of animals, trees, hearts. Most of the work here is still done the old way, hammered on lead plugs or into indentations on their palos – tree stumps with smoothed out indentations from the years of hammering and rolling the ball edge of a hammer around a piece of tin. This year, I began video interviews with the oldest tin workers. Those who were here when metal work was only done for utilitarian pieces – milk cans, oil lamps, cooking stoves, utensils for the home. Those artists who were here before foreigners came to town with ideas for decorative pieces and the money to entice the metal workers to fabricate the first decorative pieces for the home, the pieces that would lead to the metal art you find today. 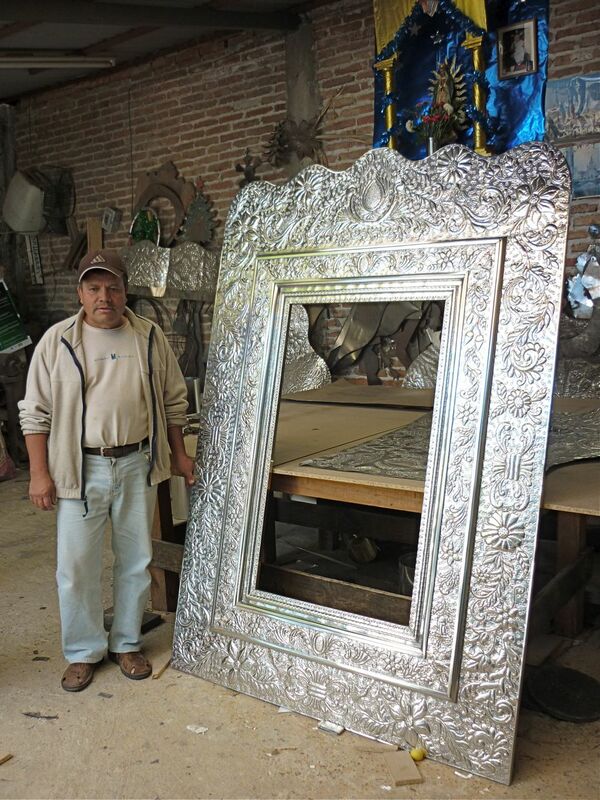 The project, which has become an obsession of sorts, is coming together, starting with the history of metal and metal arts including artists who have been working in tin for over 40 years, the story of how it happened here in San Miguel de Allende. 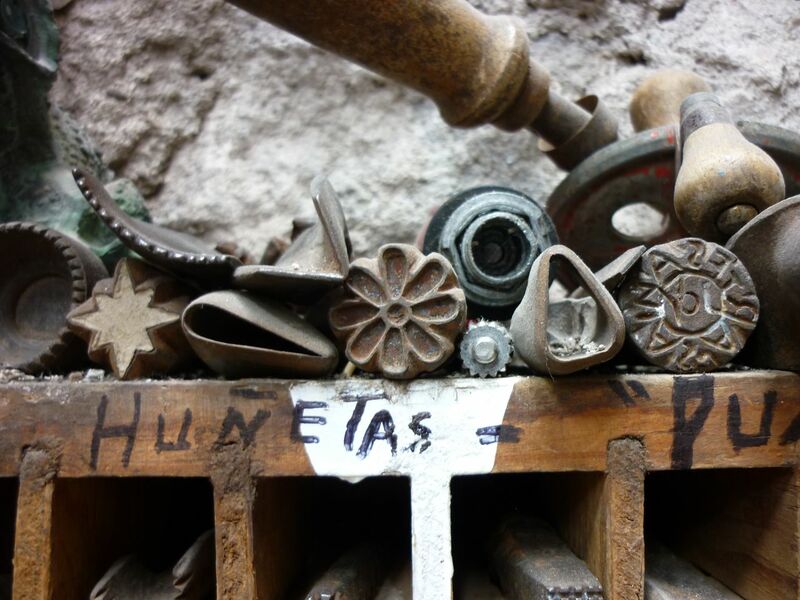 Here is a 2 minute short of one of the oldest artists, who remembers what it was like in 1944 when San Miguel de Allende was a town of about 7,000 people, and no artisan metalwork being done. It was a time where metal work was of utilitarian purpose, made and carried on the backs of burros to the ranchos to sell. 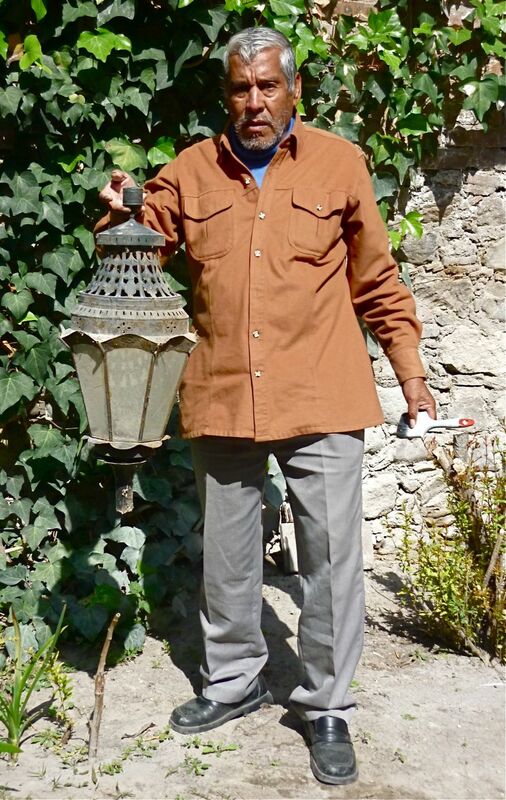 The entire documentary will be exhibited/shown in the Jardin as a part of the Feria de la Lana y el Laton this November as a tribute to these older artisan families. 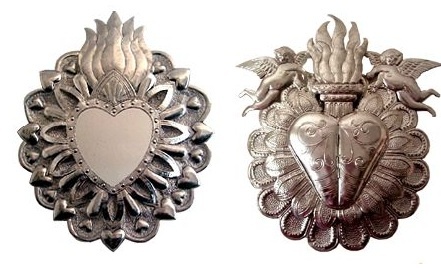 Hola, gracias for the great photos and information about tin artisans. Please tell me what the dates are for the Feria de la Lana y el Laton this November. I’m going to be in SMA for six weeks ending around 8 November. I haven’t booked my return ticket & could stay a little later for the feria. I paint nichos, appreciate the craft of tinsmithing and would be very interested. I’ve been reading your blog for a year or so and enjoy your writing & photos. this is fantastic! i commend you on this important undertaking. has a date been set for Feria de la Lana y el Laton in the jardin?? i am hoping my days there will include this important celebration of the tin workers. thanks for everything you do to honor the hands and hearts of mexico. The movie is going to loop in a booth for the entire fair.